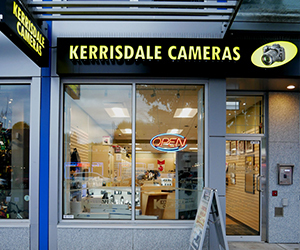 Founded in 1961 as a single specialty camera store in the charming and historic neighbourhood of Kerrisdale in Vancouver, Kerrisdale Cameras now has 8 stores in Greater Vancouver and Victoria. 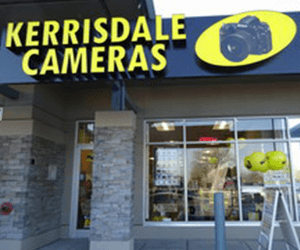 We are a local family-owned and operated business with stores in seven communities in the lower mainland and Victoria. We have a small administrative office consisting of family members and long-time employees (who have been here so long that they seem like family). 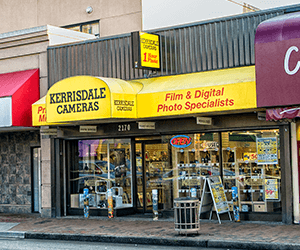 store in the heart of Vancouvert's charming and historic neighbourhood of Kerrisdale. 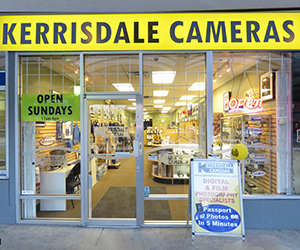 Visit us at North Vancouver Store. 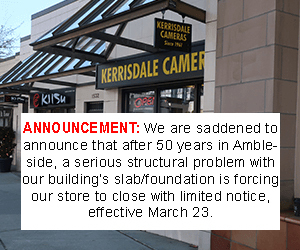 WILL BE SENT TO NORTH VAN STORE. 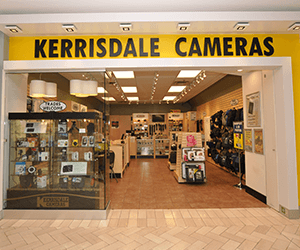 Our West Vancouver store has merged with North Vancouver store. 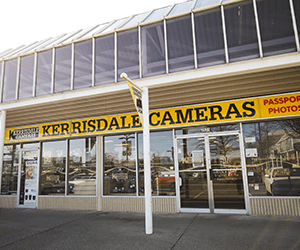 See Derek Bell, our West Van. 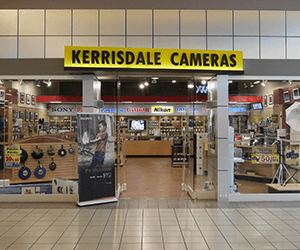 manager, at the North Van Store.